Just went back from my trip to Turkey. 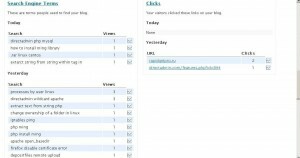 I like that my blog visitors come day by day to read my posts even if I don’t write anything day by day. Today I’ll tell you about an official WordPress plugin named WordPress Stats. WordPress stats is a good solution for newbies who want to track where visitors come from. I consider it’s more informative than Webalizer is, as Webalizer’s data is hard to understand and you have lots of information you cannot use. Let’s take a look at Webalizer stats page to understand why it is recommended to install it. This is the first screen that appears when you click the stats link. It shows you the number of your blog visitors day by day. Quite simple and useful. 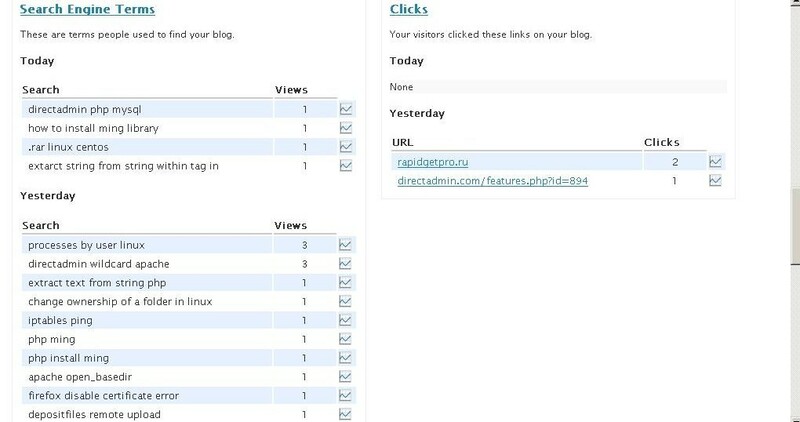 The second page shows you how do people come to your blog and what pages are most popular. The next one shows search engine terms, that is especially informative. You can track what keywords are relevant for your blog and what people are actually searching for to get to your blog. Installation is very easy – you don’t need to do anything but upload a single file and get your WordPress API code. Account at wordpress.com is created in one minute, so the stats system will be installed in some minutes. If you’re looking for a simple yet informative stats system for your WordPress blogs – WordPress stats is the solution.